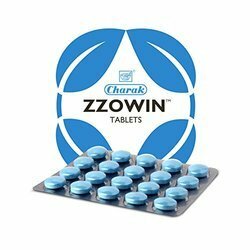 Providing you the best range of charak zzowin tablets, memaintine hyrochloride tablets, levipil tablets, venlataxine hydrochloride extended- release capsules, sertraline hydrochloride tablets and paroxetine tablets bp 40 mg with effective & timely delivery. The key ingredients like Ashwagandha, Yastimadhu, Manndukparni, Jatamansi in Zzowin help in inducing and maintaining sleep thereby improving overall quality of life. Zzowin is a natural sleep regulator and supports the sleep -wake cycle. 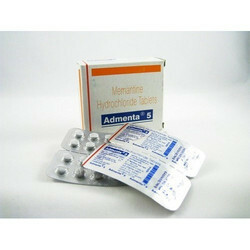 Admenta Tablet in which we also deals Admenta Tablet 5mg Tablet containing the active ingredient memantine hydrochloride is considered a NMDA receptor antagonist type of medication. 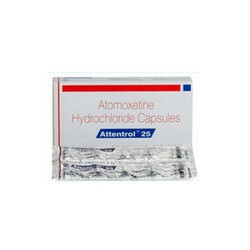 The medication is used to treat moderate to severe dementia related to Alzheimer's disease. It works by decreasing abnormal activity in the brain to help people diagnosed with Alzheimer's disease slow down the damage to brain cells and perform daily activities more easily. It can be used to treat Alzheimer’s disease but cannot be used to cure it. We are leading supplier of Levipil 250MG. 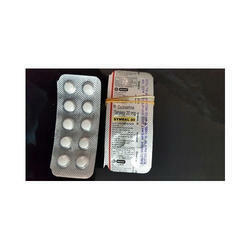 In order to provide highest satisfaction to our clientele, we offer Levipil - 250mg, which is accurately prepared. Provided product is prepared as per the set industry guidelines, employing the utmost grade constituents and progressive technology. Due to this, the provided product is best in class and quality tested. Venlor-XR Capsules are used to treat major depression and symptoms of depressive illness, including anxiety, loss of interest in usual activities, disturbed sleep, change in appetite, fatigue, feelings of worthlessness or guilt, difficulty thinking or concentrating, and recurrent thoughts of suicide. Venlor XR capsules 75mg are also used to treat other mood disorders that affect daily activities and relationships with others including, social anxiety disorder (Social Phobia), panic disorder (panic attacks) and generalised anxiety disorder. Paroxetine is used in adults in the treatment of depression, obsessive compulsive disorder or OCD (repetitive, obsessive thoughts with uncontrollable behavior), Panic disorder (panic attacks, including those caused by fear of open spaces called agoraphobia), generalized anxiety disorder (general feeling of nervousness or anxiety), Social anxiety (fear of social surroundings), Post-traumatic stress disorder/PTSD (anxiety caused by a traumatic event). 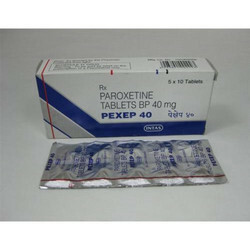 Paroxetine belongs to a group of drugs called as selective- serotonin reuptake inhibitors (SSRIs). It works by increasing the level of the chemical serotonin in the brain, which is usually decreased in depression and related diseases. 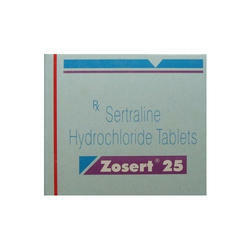 We are leading supplier of Symbal Antidepressant Tablet. Symbal is a selective serotonin and norepinephrine reuptake inhibitor (SNRI) type of antidepressant. The medication affects certain chemicals in the brain to maintain mental balance. The drug can help improve your mood, sleep, appetite, energy level and decrease nervousness. 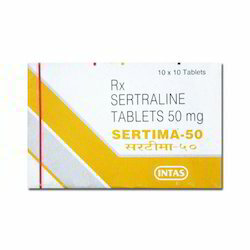 It is prescribed to treat major depressive disorder and general anxiety disorders. Some people may also use the medication to help relieve nerve pain symptoms, chronic muscle or joint pain and fibromyalgia. 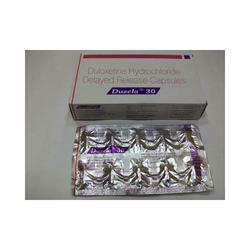 The Duzela Capsules are used for major depressive disorder (MDD), generalized anxiety disorder (GAD), pain related to diabetic peripheral neuropathy and in stress urinary incontinence. This medicine works by restoring the balance of two kinds of natural substances in the brain, thereby improving mood and feelings of well-being. 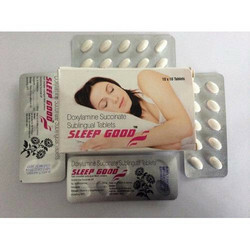 Sleep good contains Doxylamine succinate which induces sleep. Sleep good comes as a sublingual tablet. 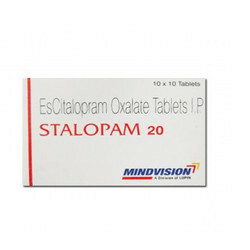 Stalopam Tablet is an antidepressant of the selective serotonin reuptake inhibitor (SSRI) class, prescribed for major depressive disorder, generalized anxiety disorder, social anxiety disorder, or panic disorder(significant behavioral change). It increases the amount of serotonin, a natural substance in the brain that helps maintain mental balance. 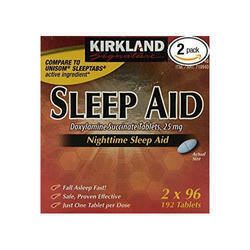 We are leading supplier of Sleep Aid Tablet. 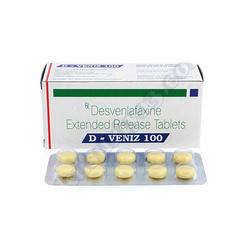 We are leading trader and supplier of D-Veniz Tablet. 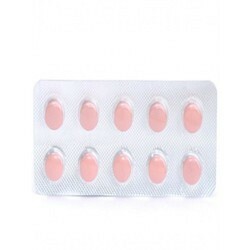 We are the leading supplier of Sertima Tablet. 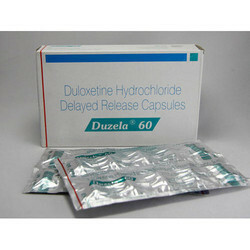 We are the leading trader and supplier of Duzela Capsules. 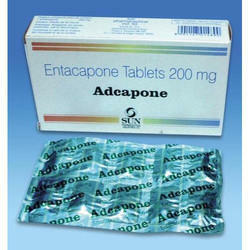 We are leading supplier of Adcapone Tablet.